KENNY RANKIN. 9 This Old Man (For William Henry Rankin). DON'T MISS IT! 11 Because Of You. EXCELLENT CONDITION. JACKET=NEAR MINT. DISC=WITH A FEW SLIGHT WOUND. CD in very good condition. REBECCA PIDGEON. CHESKY RECORDS / CD. (This title has been out-of-print for years. It will make a great addition to any Collection ). HERE IS A Because of You by Kenny Rankin (CD, Sep-1991, Chesky Records). Label: Chesky. "This Old Man (For William Henry Rankin)". Format: CD. "Because Of You". We will dispatch the product after receiving the money. We will do so too. We'll strive to resolve your problem. 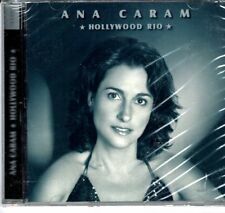 HOLLYWOOD RIO. 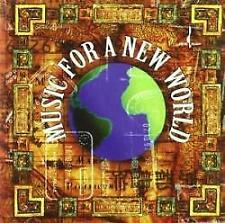 CHESKY RECORDS / CD. (This title has been out-of-print for years. It will make a great addition to any Collection ). HABLAMOS ESPAÑOL. Label: Chesky. Format: CD. We will dispatch the product after receiving the money. "I'm In Love Again". "Our Love Is Here To Stay". "Do I Love You?". We will do so too. We'll strive to resolve your problem. Label: Chesky. Format: CD. Condition: new. We will do so too. We'll strive to resolve your problem. Label: Chesky. "No Half Steppin'". Format: CD. Condition: new. We will do so too. We'll strive to resolve your problem. We will dispatch the product after receiving the money. "Is Love Enough". Label: Chesky. "Horse I Used To Ride". Format: CD. We will dispatch the product after receiving the money. "Jaded Love". We will do so too. We'll strive to resolve your problem. "What You Don't Know". Label: Chesky. "The New York Girls' Club". Format: CD. We will dispatch the product after receiving the money. Condition: new. We will do so too. We'll strive to resolve your problem. "The Wedding Dress". Label: Chesky. Format: CD. "Blue In Green". Condition: new. We will do so too. We'll strive to resolve your problem. We will dispatch the product after receiving the money. "Golden Slumbers". Artist: CHESKY,DAVID. Genre: POP / CHILDRENS. Format: CD. We want you to be 100% happy with your order. We cannot be held responsible for delays if you do not use this reference. You are also entitled to have the goods repaired or replaced if the goods fail to be of acceptable quality and the failure does not amount to a major failure. Format: CD. Rare Collectables. Sale Corner. Classic Artists. 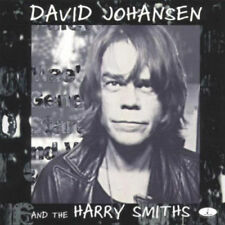 David Johansen and The Harry Smiths : David Johansen & the Harry Smiths CDTitle: David Johansen & the Harry Smiths Artist: David Johansen and The Harry Smiths Genre: Rock/Pop|Rock Duration: 50.20 mins Format: CD / Album Type: CD No. Format: CD. Release Date: 22/12/2008. Sale Corner. Classic Artists. Catalogue Number: WO170. Fhear A Bhata. Bebi Alolo. Label: Chesky. 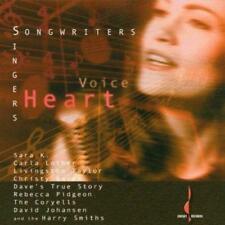 Carla Lother - Ephemera - High Resolution Technology 96/24 CD. Condition is Like New. Dispatched with Royal Mail 2nd Class Large Letter. 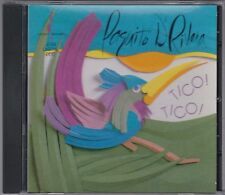 Paquito D'Rivera - Tico Tico. Format: CD / Album (Deluxe Edition). No of Discs: 5. Release Date: 28 Sep 2018. Label: Chesky. The Persuasions - Even Better Than the Real Thing 4:20. The Persuasions - Angel of Harlem 4:05. The Persuasions - Wanderer 5:06. The Persuasions - I Still Haven't Found What I'm Looking For 5:09. The Persuasions - Tryin' to Throw Your Arms Around the World 4:17. Rebecca Pidgeon - Raven 2:50. Rebecca Pidgeon - Kalerka 3:02. Rebecca Pidgeon - Witch 2:46. Rebecca Pidgeon - Grandmother 6:33. Rebecca Pidgeon - Heart and Mind 3:16. Rebecca Pidgeon - Her Man Leaves Town 3:31. Label: CHESKY. Record Label : Chesky Records. Executive Producer : Norman Chesky. Producer : David Chesky. Sara K. - If I Could Sing Your Blues 3:49. Genre: Pop englischsprachig. Artist : DIV POP. Christy Baron - Got to Get You into My Life 3:10. Carla Lother - 100 Lovers 4:43. Carla Lother - Far Away 4:06. Carla Lother - Let's Grow Old 4:39. Carla Lother - Simply Put 4:26. Carla Lother - False Fly 3:42. Carla Lother - You Never Can Begin It Too Soon 2:58. Engineer : Barry Wolifson. Christy Baron - You Are There/Why Did I Choose You?. Record Label : Chesky Records. Drums : Graham Hawthorne. Art Direction : Aldo Sampieri. Project Director : Lisa J. Marks. Amber Rubarth - You Got Through 3:50. Amber Rubarth - How to Get By 3:41. Amber Rubarth - Ball and Chain 2:16. Amber Rubarth - Losing My Religion 4:35. Amber Rubarth - Grass Top (Interlude) 5:58. Amber Rubarth - In the Creases 5:33. His two contributions are both good but should never have been included considering he didn't write either of the songs, yet this is Singer Songwriters. But outside of that discrepancy, there is one other factor that makes this album pretty average, and that is the predictable songwriting.